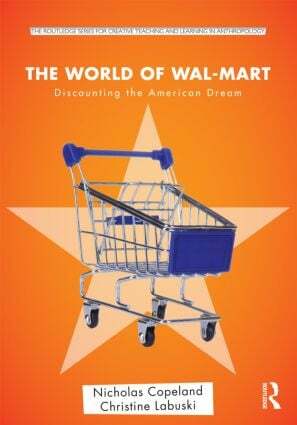 This book demonstrates the usefulness of anthropological concepts by taking a critical look at Wal-Mart and the American Dream. Rather than singling Wal-Mart out for criticism, the authors treat it as a product of a socio-political order that it also helps to shape. The book attributes Wal-Mart’s success to the failure of American (and global) society to make the Dream available to everyone. It shows how decades of neoliberal economic policies have exposed contradictions at the heart of the Dream, creating an opening for Wal-Mart. The company’s success has generated a host of negative externalities, however, fueling popular ambivalence and organized opposition. The book also describes the strategies that Wal-Mart uses to maintain legitimacy, fend off unions, enter new markets, and cultivate an aura of benevolence and ordinariness, despite these externalities. It focuses on Wal-Mart’s efforts to forge symbolic and affective inclusion, and their self-promotion as a free market solution to social problems of poverty, inequality, and environmental destruction. Finally, the book contrasts the conceptions of freedom and human rights that underlie Wal-Mart’s business model to the alternative visions of freedom forwarded by their critics.